Read the original Detroit Performs article. Art X Detroit: Kresge Arts in Detroit (AXD) is a 10-day festival of dance, literary, musical & theatrical performances, film screenings, visual arts installations, workshops, panel discussions & interactive experiences. AXD will be hosted at multiple venues including Cass Cafe, Museum of Contemporary Art Detroit (MOCAD), N’Namdi Center For Contemporary Art, Detroit Institute of Arts, Detroit Symphony Orchestra‘s Orchestra Hall Music Box, and more throughout Midtown Detroit’s Cultural Center over a three-week period in April and is FREE and open to the public! This entry was posted in Detroit events, entertainment and tagged Art X Detroit, Cass Cafe, Detroit Institute of Arts, Detroit Symphony Orchestra, Kresge Arts in Detroit, MOCAD, Museum of Contemporary Art Detroit, N'Namdi Center For Contemporary Art. Read the complete ArtsMic list. Artists like Tyree Guyton, who’s been finding objects and attaching them to decaying homes along Heidelberg Street, are using the now blank and dilapidated city as their canvas. And institutional art hubs like the Museum of Contemporary Art Detroit and the Detroit Institute of Arts and organizations like Art Detroit, along with a plethora of galleries, are boosting their efforts to support the vibrant scene. The literary arts scene is taking off, too. Currently, a writer’s residency program “Write a House” is taking applications for writers to live in a renovated home for free. 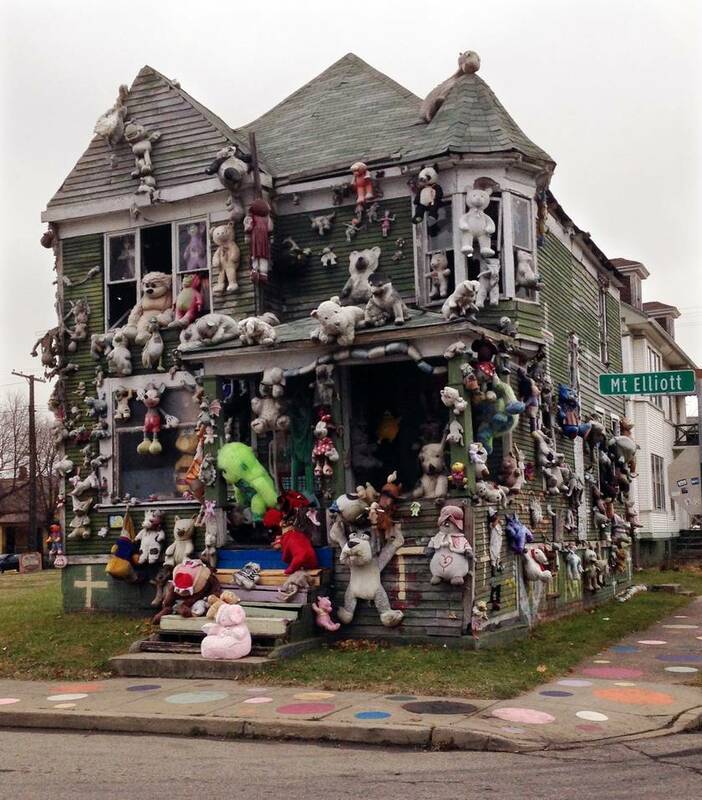 This entry was posted in Detroit Arts, Detroit Institute of Arts and tagged Heidelberg Project, MOCAD, Museum of Contemporary Art Detroit, Tyree Guyton, Write a House. 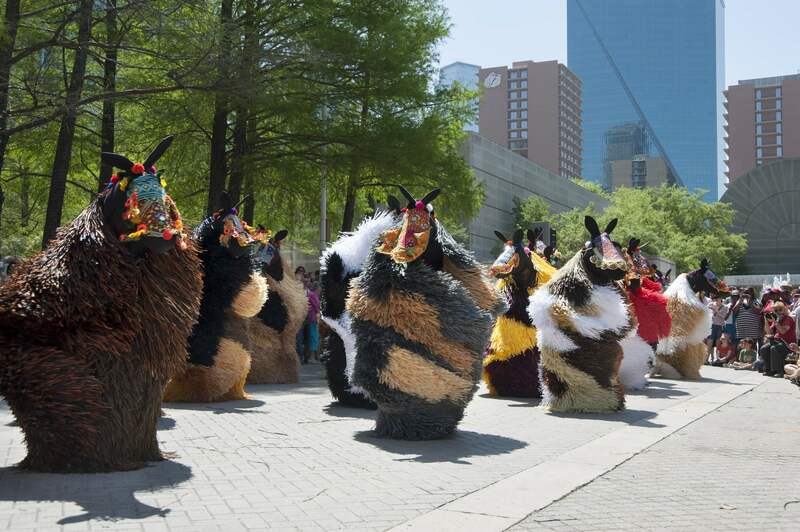 We are thrilled to partner with Cranbrook Academy of Art for the extraordinary seven month project “Nick Cave: Here Hear.” MOCAD will host the Dance Labs portion of this massive project at the end of July and beginning of August. Stay tuned for more information and announcements of dates, times, and dancers. This entry was posted in Detroit events and tagged “Here Hear”, Cranbrook Academy of Art, MOCAD, Museum of Contemporary Art Detroit. Watch the complete WXYZ-TV video. For 10 days in April, Midtown, Downtown, and Eastern Market will come alive as the canvas for Art X Detroit: Kresge Arts Experience (AXD). Staged over three weekends between April 9-26 at nearly 20 venues throughout the city, the public is invited to experience an exciting collection of visual art installations, dance, musical and theatrical performances, film screenings, literary readings, and much more. AXD is presented by The Kresge Foundation and produced by Midtown Detroit, Inc. AXD partners include: Kresge Arts in Detroit, College for Creative Studies, Creative Many, and MOCAD. Dates: April 9-12, 16-19, and 25-26. FREE to the public. 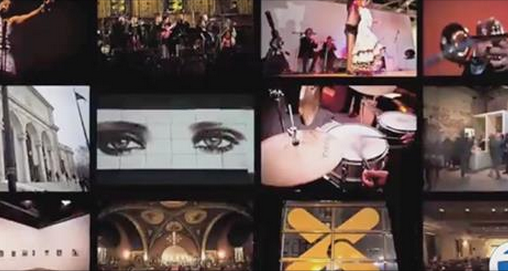 This entry was posted in Detroit events, Eastern Market, Midtown Detroit, Video and tagged Art X Detroit, College for Creative Studies, Creative Many, Kresge Arts in Detroit, Midtown Detroit, MOCAD, WXYZ-TV.